Today as world leaders gather for a General Assembly at the UN to mark the first anniversary of the Sustainable Development Goals, ChildFund Alliance launches a bold new initiative to hold leaders to account and ensure child protection targets are reached by 2030. One year on from the launch of the Sustainable Development Goals (SDG’s), also know as the ‘Global Goals’, the global community is still trying to iron out the mechanics of how these complex targets will be implemented. The SDG’s provide a road map for the world , charting its journey up to 2030 and the elimination of inequality and poverty that afflicts so many of its citizens, particular its young who represent our planets best future. For the first time ever, and due in no small part to the tireless lobbying of the ChildFund Alliance, explicit targets have finally been included that will ensure children are no longer left behind in global development. 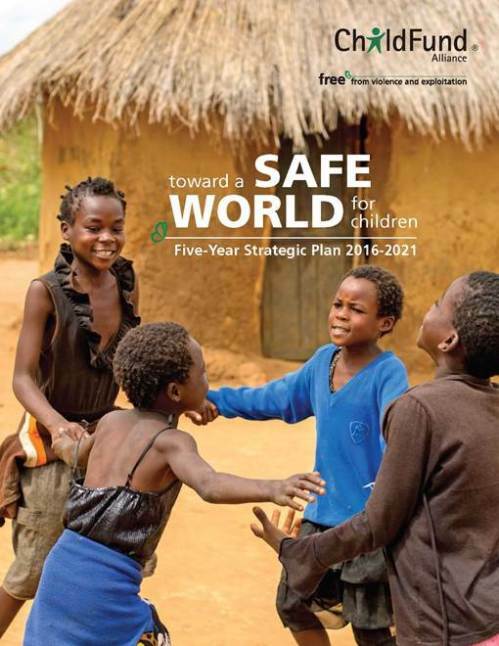 ChildFund Alliance today launches its new strategy document for the next fives years; Towards a Safe World for Children. The Alliance seeks to become a global voice for children, to highlight the issues children care about, and to mobilise effectively to address threats to their lives, safety and well-being. A central component of this strategy is a new child-friendly accountability mechanism that places children at the heart of change, ensuring that they will have an active role in holding global leaders to account. The idea is to empower children and to encourage them to become active global citizens in advocating for their rights, and ensuring that issues that affect their basic human rights are considered closely by policy makers. The strategy will achieve this by providing children with access to age-appropriate information about their rights and access to child protection systems. Fundamentally it will help support children in holding their governments and local authorities to account by reporting inadequacies; and to encourage children to advocate and socially mobilise in order to amplify their collective voice and ensure compliance of SDG targets. Its an ambitious, far reaching and visionary initiative that will impact on children in Ireland, and in countries right across the world where ChildFund operates. Please stay tuned for further updates about the child-friendly accountability mechanism as it rolled out and put into action.